Have a day filled with adventure at The Great Escape & Hurricane Harbor! With dozens of family-friendly rides and a thrilling waterpark, this theme park in Lake George is full of fun for the entire family. After an exhilarating afternoon at the park grab some dinner in Lake George and rest up for the night. Start the morning off with breakfast out at one of the many Lake George restaurants offering early morning eats. Then, head to Prospect Mountain to give your children a breathtaking view unlike any other. If your kids are up for it, you can hike up the mountain. If not, you can drive up for just $10 per car. On Wednesdays throughout July and August you can take your kids on the Floating Classroom! 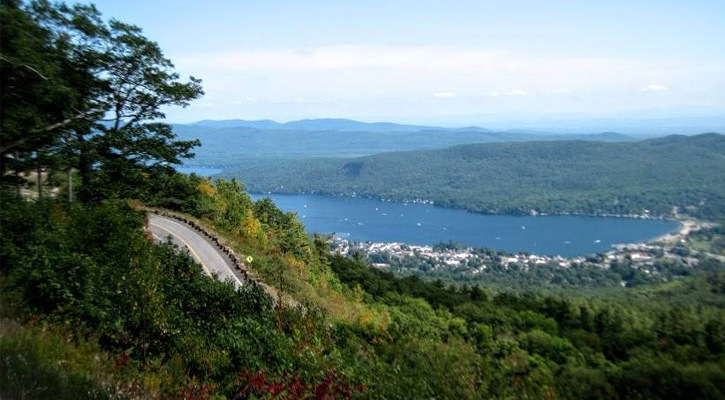 The Lake George Association welcomes you aboard for an adventure right on Lake George. Education never felt so exciting! 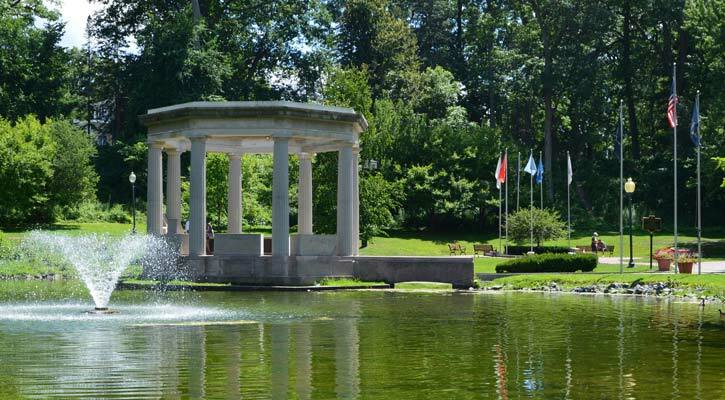 Afterwards, head south to Congress Park in Saratoga - only about 30 minutes away - for the late afternoon, and have a picnic on the beautifully groomed lawn. There's also a carousel for just $1 a ride! Head to Up Yonda Farm in Bolton Landing - this is an environmental education center full of excitement, including a butterfly garden and over 70 acres of natural beauty overlooking Lake George. 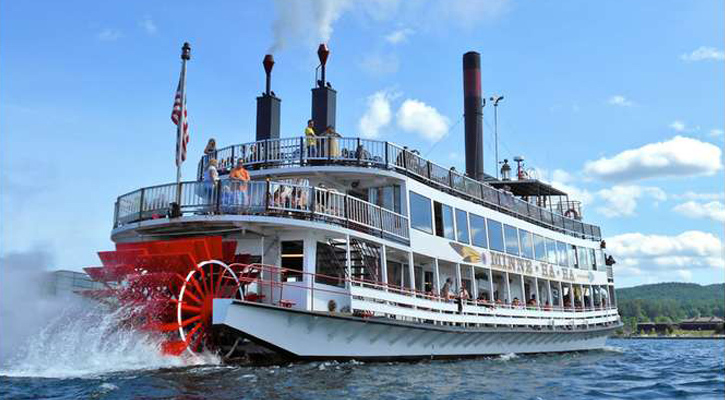 Afterwards, check out a cruise on Lake George with the Minne-Ha-Ha. If you plan this adventure on a Thursday you can catch the fireworks! Exceptional family entertainment awaits at The Fun Spot in Queensbury! This kid-friendly hotspot offers a wide range of activities, including a Kid's Spot Playground, roller skating, adventure golf, and so much more. Bring the whole family and experience one of the region's top attractions. 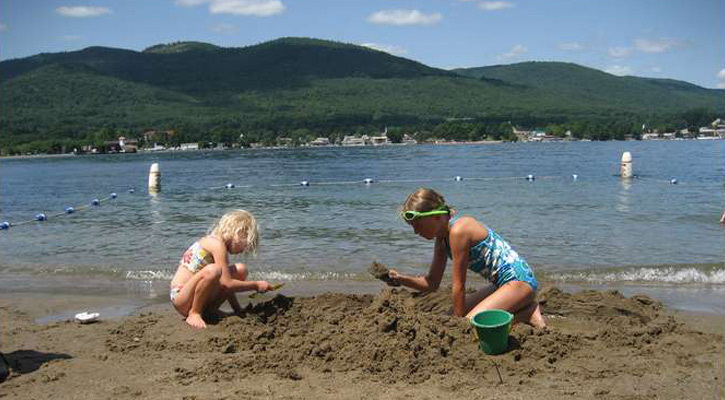 Bring the kids to Usher's Park Beach, a little-known Lake George beach on Route 9L with a children's play area and kiddie beach. The kids will have fun building sandcastles and watching boats pass by in the distance. 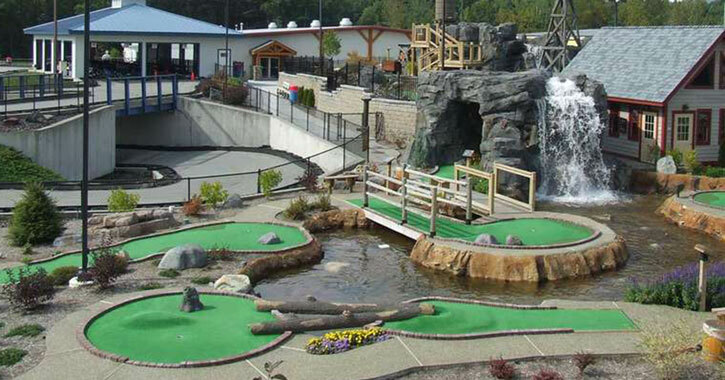 After the beach, round the day out with a rousing game of mini golf, always a fun time for the whole family! Begin your day with tubing on the Hudson River! 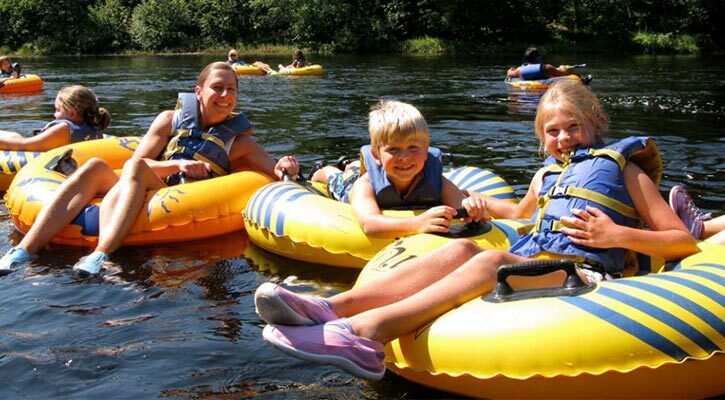 Tubby Tubes Co. in Lake Luzerne is just five minutes from Lake George and offers adventure for adults and kids ages one and up. After tubing, treat the kids to some lunch and ice cream.